WHEN it comes to administering medicine to their children, moms are quite meticulous. After all, they want to give the best to their kids, while making sure that they don’t suffer from side effects that some chemical cough formulations may cause in the long run. And when it comes to treating their children’s cough, moms Charmaine Niduaza, Rossana Singson-Kawpeng, and Allen Hernandez have found an effective and safe cough remedy in ASCOF Lagundi Syrup. "My kid's health is my top priority. I trust only ASCOF Lagundi Syrup because I know it’s safe for their health," says the 26-year Niduaza, who is mom to two kids. Forty-one-year old Singson-Kawpeng adds, "I don’t want my children to take any cough medicine that might have side effects, so I give them ASCOF Lagundi Syrup." I trust only ASCOF Lagundi Syrup because I know it’s safe for their health,” says the 26-year old Charm. ASCOF Lagundi is made from 100% Lagundi leaves. Clinical trials have shown Lagundi to be equally effective as other chemical-based over-the-counter cough medications, but without their potentially harmful side effects. ASCOF Lagundi works in three ways: one, it opens up the bronchial tubes to facilitate airflow, therefore making it easier for the child to breathe; two, it dissolves mucus so it’s easier to expel; and three, it reduces the inflammation in the respiratory passages due to its anti-histaminic action. 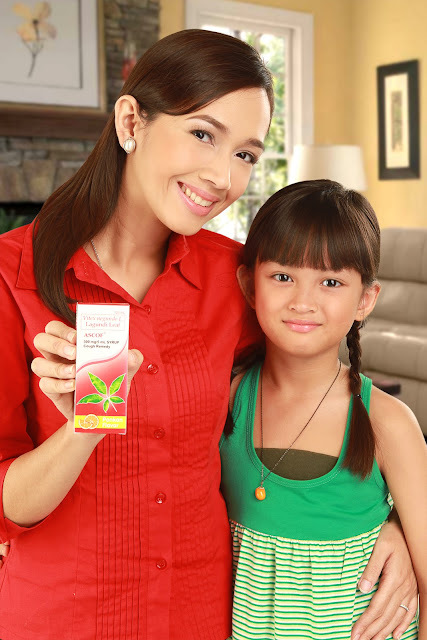 “I don’t want my children to take any cough medicine that might have side effects, so I give them ASCOF Lagundi Syrup, says mommy Rosanna. 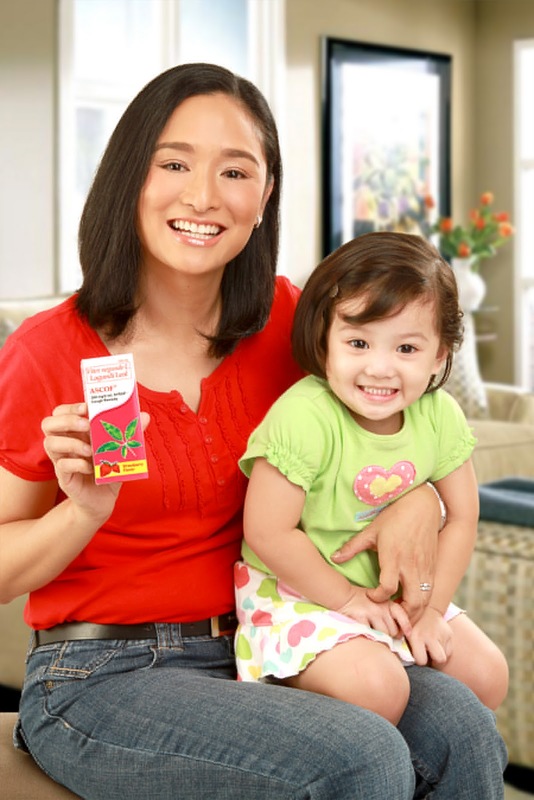 Aside from its efficacy and safety, these mothers also laud the fact that it is easy to have their kids take ASCOF Lagundi syrup because it comes in flavors that children love strawberry and ponkan. "It’s difficult for kids to take medicines that taste bitter. Good thing ASCOF Lagundi has deliciously flavored syrup variants," Hernandez says. For older kids, there's ASCOF Lagundi Forte Syrup in menthol and sugar-free menthol variants, recommended for kids age 13 years old and above. 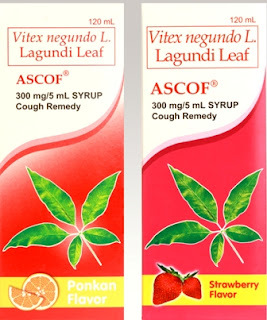 Singson-Kawpeng shares that ASCOF Lagundi Syrup has made taking cough medication easier for her two children. "My two daughters love the yummy flavors of ASCOF Lagundi Syrup. They say it doesn’t taste like medicine at all," she explains. “It’s difficult for kids to take medicines that taste bitter. Good thing ASCOF Lagundi has deliciously flavored syrup variants,” Mommy Allen says. Hernandez, meanwhile, concludes, "It pains me to listen to my kids cough all day and through the night. I’m glad there’s ASCOF Lagundi that helps cautious moms like me relieve our children of their cough – the safe and natural way!," Hernandez concludes.